Have you ever encountered a story so big that you simply had no idea where to start? This is how I feel about The World Garden at Lullingstone Castle. I want to tell you everything and show you every single photo that I took while I was there but that would simply be impossible. Where to begin? Perhaps it would be best to begin where it all started. In March 2000, Tom Hart Dyke was on a plant hunting exhibition in the Darien Gap between Panama and Colombia when he was abducted and held hostage for nine months. Threatened daily with execution, Tom began to conceive of a garden where he would collect plants from every corner of the globe and lay them out in their respective countries of origin. Tom returned home one week before Christmas in 2000 and immediately set about making his dream a reality. The result is The World Garden and I’m going to let you in on a spoiler: it is wonderful. The garden is a little bit like the British Museum – there are so many plants and there is so much to see that you could easily spend an entire day there and not see everything. Unlike the British Museum where I spent my first few visits in Ancient Egypt alone, I am proud to say that I visited every continent in the World Garden. It will surprise nobody that my favourite areas were Africa and the rain forests. I do like it hot and humid, that is for sure! 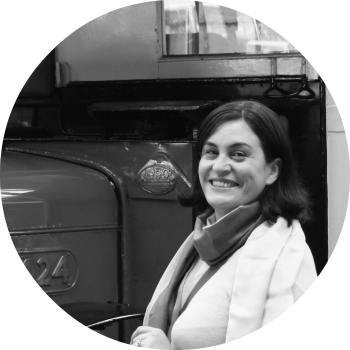 Because I’ve already spoiled everything by telling you how wonderful the World Garden is and because there is just so much to see, I’m going to tell you about my six favourite areas. First, we need to enter the World Garden via the Moon Gate. You enter at the top of the world and walk through England with Asia to the left and North America to the right. I loved the plants in the South America area. So many of them look familiar to me – possibly because the climate in Africa and South America can be similar and because millions of years ago, the two continents were one. Walking through the Hot & Spiky House brought back so many memories. Firstly, cacti, agaves and aloes grow all over South Africa and suit our sometimes dry climate perfectly. Secondly, I once lived in a house with a massive cactus garden. Anyone who has ever collected cacti can tell you how expensive they are but luckily we inherited the garden. And finally, one of my very first art projects in high school was to draw a yellow and green agave just like this. Well, we were actually meant to be drawing the entire cactus garden at school but I remember trying to get this one right. The Moroccan Blue Room was fashioned after the iconic Marjorelle Gardens in Marrakesh and the room had such a beautiful atmosphere that I could have stayed there for ages. I have a thing about indoor gardens. I remember going to an exhibition at Blackpool Tower when I was about five and they had steamed up the interior and brought in tropical plants and they had monkeys and tropical birds too. It was my first taste of life in the tropics, taking place a good four years before we moved to South Africa. The Cloud Garden at Lullingstone reminded me of that – a specially constructed polypropylene structure built to create the ideal temperate environment for plants from New Zealand, South Africa and Asia. I have to tell you, I had a hard time choosing two photos from the Orchid House after managing to take almost thirty! That wasn’t why this is one of the best parts of the World Garden though. Oh no, the reason is because it houses the Dendrocnide moroides or Queensland Stinger, rumoured to be be the most dangerous plant on the planet. Actually, there are no rumours about it – the entire plant is covered in stinging hairs that transmit a neurotoxin and one touch can leave you with blisters and up to nine months of intense throbbing pain. I don’t have a photo of the plant because it scared the heck out of me! I loved the South Africa section of the garden and wondered around aimlessly for the longest time, running my hands through the plants and remembering our life in South Africa. For instance, we used to have feathered reed grass just like in the photo above in our very first house in South Africa. And so it was that I took a journey around the globe in the World Garden and had the chance to see plants that I had never even imagined as well as plants that took me on a stroll down memory lane. The World Garden at Lullingstone Castle is open on Sundays until the end of October. It will then close for the season and reopen on Easter weekend 2017. Definitely check out their website for all the Halloween activities. 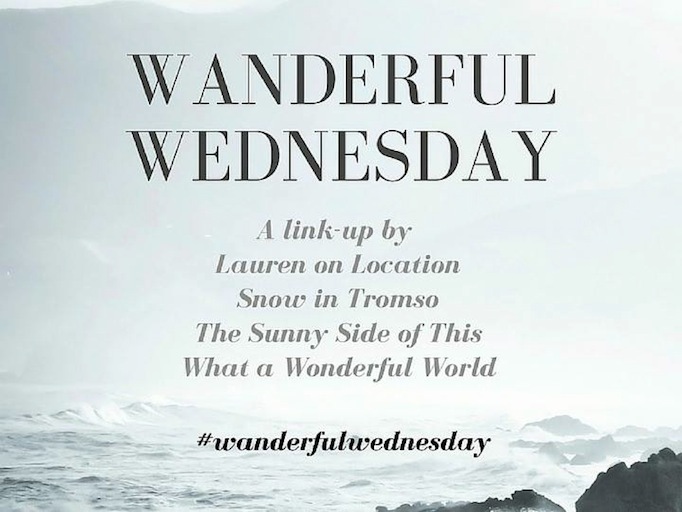 I’m linking up to Wanderful Wednesday today with Lauren of Lauren on Location, Van of Snow in Tromso, Isabel of The Sunny Side of This and Marcella of What a Wonderful World.